Working full time in an office means that this place is your second home. With a lot of people spending a considerable part of their time in the workplace, it goes without saying that it should be kept in good shape. You have to admit that cleanliness of the workplace is the last thing on your mind during a busy workday. In this Blog we want to help you to understand the advantages of hiring a Cleaning Company. Safe work environment – maintaining your workplace clean also means keeping it safe. 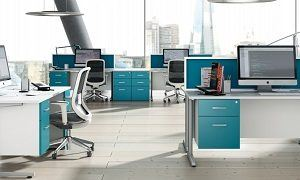 The office can quickly become a breeding ground for bacteria and germs. On top of that, an untidy area raises the risk of accidents and injury. Even if you do a quick wipe over every now and then, you should admit that no one can do a better job at this than a commercial cleaning company. At a time when workplace absenteeism costs businesses in the UK a great deal, investing in commercial cleaning services seems like a solid option. 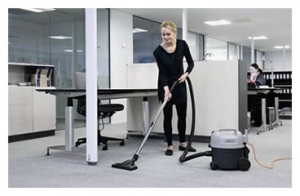 Pleasant appearance – a clean workplace is usually associated with professionalism. Clients, candidates for a job and others will often work with the company or not based on how clean the environment in it is. A commercial cleaning company can make any business look great, through various specialized cleaning services. There is little doubt that a good commercial cleaning service can aid your business a great deal. Select your Cleaning Company based on reputation and years of experience rather than selecting the cheapest quote. Pick a reliable company, it might cost you slightly more but I guarantee you will gain a lot. Splashernet are a leading provider of professional cleaning services in Bristol & the South West. We deliver to our customers superior, quality assured services and outstanding value for money. Copyright © Splashernet Services Ltd.